Lesego Vorster is a South African animator and designer who is currently studying at the renowned French animation school, Gobelins. He was the first South African to be accepted to the school which only takes a selected number of new students per year. The Daily Vox team spoke him about his animation and design journey. Vorster has been drawing from a young age, something that he picked up from his uncle. However, it was only when he was much older that he knew he wanted to be an animator. Diski from Lesego Vorster on Vimeo. Being the first South African student as Gobelins, Vorster says it is very important for his journey. 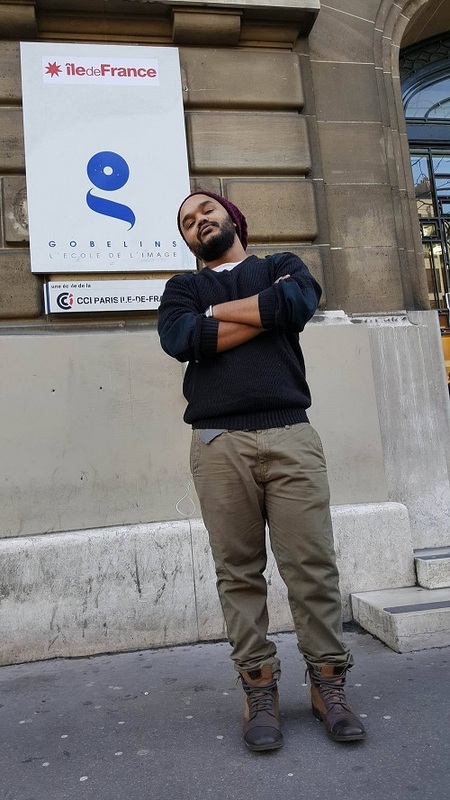 Vorster says while he does think he is paving the way for other design students from South Africa to come to Gobelins, he just hopes that there will be more South Africans, Africans, and black people who will apply to get into the school. As for the personal importance, Vorster says itâ€™s everything. The experience of studying in Paris has been an amazing one for Vorster. Isokivi from Lesego Vorster on Vimeo. Being in the environment has changed his work especially in terms of the quality. Artists and their creative processes are very important. For Vorster, however, his process depends on who he is creating for. At the moment Vorster is finishing up his final graduation project with his team. While mum on the details, Vorster says the project is about two brothers. The project is also his favourite thing he has created but Vorster says this changes with each project. Vorsterâ€™s main goal is to teach others the skills he has learnt and more importantly increase representation. He acknowledges the pivotal role that the movie, Black Panther has played in this project. Vorster also believes it will be the youth who will be the key to taking design and animation further and thatâ€™s why he wants to teach. As for his future endeavours, Vorster says it is still uncertain. More of Lesegoâ€™s work can be found here.